Gov. Sam Brownback signed an executive order Monday abolishing the Kansas Arts Commission and replacing it with a private, nonprofit organization. The move will save the cash-strapped state nearly $600,000 a year, but it has upset some arts advocates who worry about eroding support for the arts and art education. The Arts Commission funnels state and federal arts grants to local organizations, artists and art education programs. Starting July 1, the nonprofit Arts Foundation will seek private funds. Brownback wants Kansas to spend $200,000 next year to assist the foundation, and he said additional funding in future years is a possibility. He appointed nine Kansans to lead the foundation. The executive order takes effect July 1 unless lawmakers vote to overturn it within 60 days. Gov. Brownback states that closing the arts commission will save the state $600,000. What he fails to realize is the state will lose $800,000 from the NEA, and around $435,000 in indirect grants from the Mid-America Arts Alliance that is used to provide jobs and spur economic activity. Also, with no arts grants being awarded to the field, the state will lose tax revenues from lost performances and other events from organizations who have to scale back or cancel performances all together. Either the Governor is too cynical to think anyone will notice, or too incompetent to understand matching contributions. 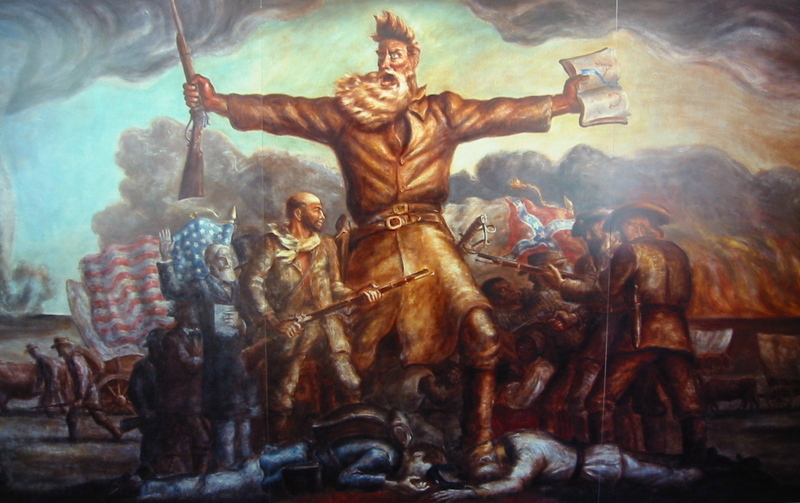 Either way I feel like John Brown.